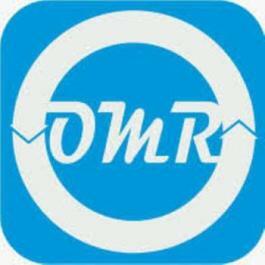 INDORE, INDIA, October 16, 2018 /EINPresswire.com/ — According to the OMR analysis, the Western Europe e-commerce Retail market is growing at a significant rate during 2018-2023. As most of the countries across the Western Europe region are having large number of internet users, it creates ample opportunities for the growth of e-commerce retail market in the Western Europe region. 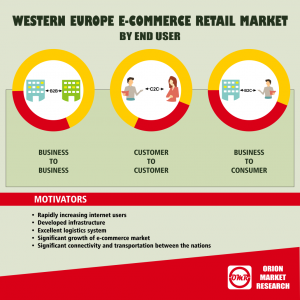 The Western Europe e-commerce Retail market is segmented on the basis of end-user, product type, device used and geography. The report provides detailed and insightful chapters on market overview, key findings, strategic recommendations, market estimations, market determinants, key company analysis, market insights, company profiling, market segmentation, geographical analysis and analyst insights. Disposable income of majority of population across the Western Europe region is on a higher side, as a result of it the demand of high-quality goods and services in the region has increased significantly from the past years. Moreover, the region is benefited with the presence of numerous logistics companies which strengthen the logistics network across the Western European region. As a result, many of e-commerce retailing players find it easy to transport their products across the region. Moreover, as the number of smartphone users have increased in the region the demand of goods through e-commerce websites have increased significantly. This is expected to create significant opportunities for the growth of Western Europe e-commerce retail market over the coming years. The market on the basis of geography is divided among four major regions – Russia, Germany, the UK, France, Italy and RoE. Germany and the UK are expected to account for a significant share in the revenue generation of the market. Moreover, France and Spain are expected to show lucrative growth opportunities owing to significant number of internet users in the country. Russia is also expected to witness steady growth owing to steady growth of the market in the country, owing to reduction in import duty on commodities. Few of the key players in the market include Zalando, Amazon.Com, Inc, Apple Inc., Alibaba Holding Corporation and Home Retail Group among others.